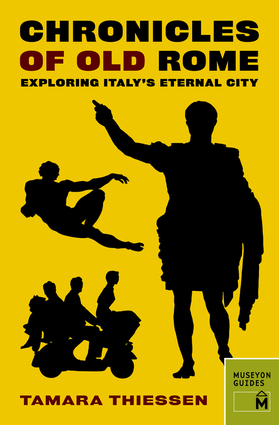 Discover la dolce vita on this grand tour of Italy's historic capital told through 30 dramatic true stories spanning nearly 3,000 years, plus detailed walking tours complete with easy-to-read maps. From the Curia Pompei, site of Julius Caesar's assassination in 44 BC, to the Borgia Apartments in the Vatican, see the real-life places where history happened in this richly illustrated guide. Along with infamous power games between heroes and villains, you will find Rome's smart and powerful women, such as Agrippina, St. Agnes, Margherita, Artemisia, and more. Then relax like Goethe and Keats at the Café Greco, Rome's chicest coffee bar since 1760, or visit the Palazzo Colonna, the site of Audrey Hepburn's Roman Holiday. Tamara Thiessen is an Australian author, photographer, and travel writer whose work has been featured in a variety of publications, including Conde Nast Traveller, DK Eyewitness Guide to Italy, the Globe and Mail, National Geographic Traveller, and the Sydney Morning Herald.